This morning at Wildwood Community Church I preached a message based on John 1:35-42. This message was part 3 of the “Share” series. Below are a set of questions for personal reflection or group discussion based on the message. A pdf copy of these questions is also included in this post in case you would like to print them for future use. What is one invitation you have given (or received) that has had a major impact on your life? Why do you think we tend to minimize the power of the invitations we offer to others? John called Jesus the “Lamb of God.” What do you think he meant by giving Jesus that title? **Andrew and the other disciple seem to enter a process of finding more out about Jesus as they spend time with Him. Jesus’ invitation for the men to spend time with Him provides them the opportunity to get to know Him before they truly left all to follow Him. What are some of the ways people can “get to know Jesus” today before choosing to follow Him completely? Have you ever chosen to follow Christ with your life? If so, how did that relationship begin? 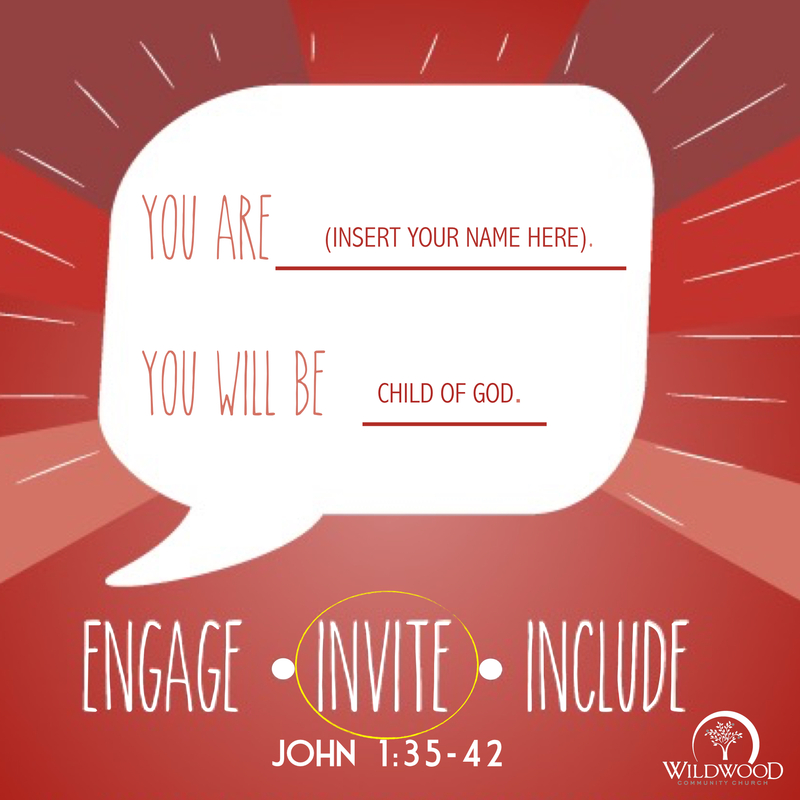 What “invitations” were extended to you in your early days that helped lead you to follow Christ. If not, what is keeping you from following Christ today? Andrew excelled at inviting people to come to Jesus. He is a great example for us. Who might God want you to invite to come follow Jesus? What is something you could invite them to first? In Jesus is the power to become something greater. Jesus says to Andrew’s brother – “You are Simon . . . but you will be Peter.” What would you like God to do in and through your life this next year? To download these questions in pdf format, click here.